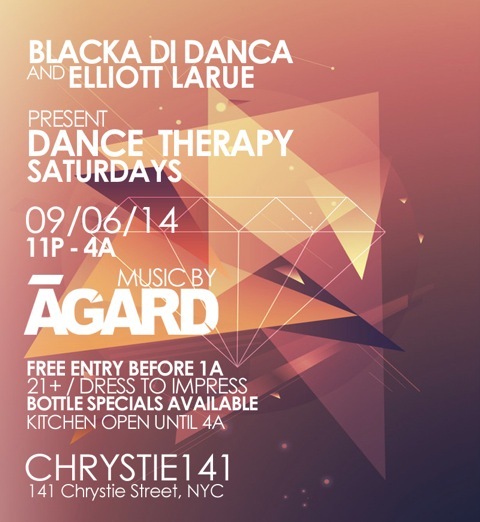 Dance Therapy is a dance party at Chrystie 141 in New York City. Every Saturday ĀGARD keeps the crowd rocking all night long. Doors open at 11pm and everyone is free before 1am. Please visit the Facebook group for the event to get updated info.